Which cream should I buy? BB cream and CC cream both claim to combine various skin care benefits with makeup coverage. The lines between BB cream, CC cream — and recent newcomer DD cream — are becoming increasingly blurred. Skin care benefits and makeup coverage vary based more on the particular brand than the overall type of cream. BB cream, CC cream, and now DD cream: What on earth is the difference between these alphabet creams? While the names definitely sound similar, each pair of letters stands for a different abbreviation: beauty balm or blemish balm, color correcting, and daily defense. To help you understand the differences between these creams, we will explain what each is, describe the makeup coverage each offer, and then recommend some products to try. BB cream was invented by German dermatologist Christine Schrammek in the 1950s. This product first became popular in South Korea and then spread to the rest of Asia as beauty acolytes began looking for ways to shorten their complicated beauty routines. In a nutshell, BB creams combine aspects of makeup and skin care to offer a range of benefits for your face. “A BB cream can do so many things: correct discoloration, provide nutrition for the skin, protect with sunscreen, and be used as a makeup primer,” explained Ali McCoy Stengel, a registered nurse, certified aesthetic nurse injector, and founder of Always Beautiful Medspa in Aurora, CO.
“BB cream is basically a cream that provides coverage to cover blemishes — usually slightly more than a tinted moisturizer but less than a foundation — with added benefits like antioxidants, hydration, anti-aging and more, depending on the brand,” explains Dr. Sejal Shah, a board-certified dermatologist practicing at SmarterSkin Dermatology in New York City. What coverage does BB cream provide? BB creams are meant to be applied with a light touch and can be used as a primer, moisturizer, or foundation. In theory, BB creams are designed to be the only product you need to apply after washing your face. However, a BB cream might not offer enough makeup coverage, moisturizer, or SPF for everyone — and those with acne or other blemishes find that they usually need to use BB cream in conjunction with a concealer in order to achieve their desired look. The premise behind CC creams is to use colorful primers, concealers, or powders to address problems with skin tone. Originally, each skin problem had its own dedicated color: green concealer covered up red marks, orange concealer lightened dark circles, and so on. “Most BB creams initially did not come in a range of colors, and so CC creams were meant to fill this gap of adequately correcting color,” explains Dr. Shay Nicholas, a board-certified physician at Nubo Spa in Kensington, CA. CC cream promises the effects of color-correcting makeup in a single product. Depending on the brand, it may have other skin-enhancing ingredients that can brighten skin and provide other benefits. What coverage does CC cream provide? CC cream is akin to a liquid foundation and is a better choice than BB cream if you’re looking to cover up imperfections such as dark spots or acne marks. While CC cream provides less overall coverage, you can easily blend and layer to build up coverage on problem spots as needed. 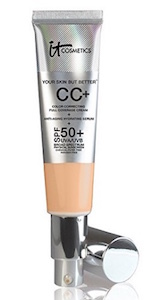 Unlike BB cream, CC cream is usually not marketed as an all-in-one product, and you will need concealer, primer, and other correctives in addition to the CC cream, just like you would with foundation. DD cream is the newest kid on the block. As more and more products enter the alphabet soup of face creams, the lines between BB, CC, and DD creams are becoming increasingly blurred. Instead of being a unique product, DD cream is in essence a result of combining BB and CC creams — offering the many skin-enhancing benefits of a BB cream while maintaining the makeup coverage of a CC cream. “DD cream is basically a glorified sunscreen. It can provide the benefits of a BB cream or CC cream but is rarely without sunscreen,” says Shah. David Pollock, beauty industry chemist and founder of Justaskdavid.com also weighs in. “DD cream was designed by marketers and, for me, isn’t the end-­all product. I prefer suggesting a targeted serum, for specific needs, before applying the BB or CC cream that’s right for you,” he states. What coverage does DD cream provide? DD creams generally provide coverage similar to that of a CC cream: a light, blendable, and layerable formulation that covers up problem areas. Because DD creams combine various aspects of CC and DD creams, coverage may vary from product to product. Given the variation among these three creams, and even among individual products in the same cream category, there’s no single answer to which one you should buy. However, there are some basic guidelines to keep in mind as you browse these creams. “As a general guide, BB creams tend to be best for normal to dry skin types, CC creams are best for oily and acne-prone skin types, and DD creams work as an anti-aging sunscreen,” Nicholas says. Pollock advises to disregard the marketing hype and choose a product based on the greatest benefit to you. As for general guidelines, he recommends looking for ingredients such as hyaluronic acid (which binds moisture at the cellular level), vitamin C (to help boost collagen and even out skin tones), and CoQ10 (to neutralize free radicals). Individuals with acne-prone or sensitive skin should first test all BB, CC, and DD creams, as they can clog pores and irritate skin. It can be overwhelming to navigate the many cream options currently on the market. Here are some of the top-rated picks to get your search started. 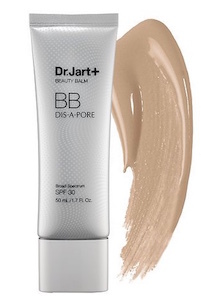 Dr. Jart+ is one of the original brands of BB cream, and this company offers several variations of the product. The Dis-A-Pore Beauty Balm is a “five-in-one” formula, designed to accomplish many things at once: offer high levels of active skin care ingredients, moisturize and smooth dehydrated skin, prime and perfect the skin’s surface, color-correct skin tone, and protect skin from sun damage with SPF 30. This vegan, oil-free moisturizer hydrates the skin as it provides makeup coverage, thanks to micro-treated mineral pigments. 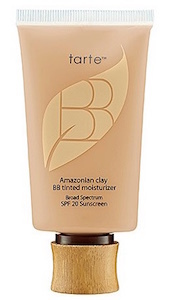 Tarte’s Amazonian clay-based foundations receive rave reviews, and their BB cream is no different — it has more than 50,000 “loves” on Sephora’s website. This product is available in 10 shades and has SPF 20 protection. The formula includes good-for-your-skin ingredients such as chamomile, vitamins A, C, and E, and sodium hyaluronate. This combination formula provides intensive moisturization while covering imperfections, and contains vitamin C to correct discoloration and Rose de Mai extract to soften texture. If you’re looking for a formula to act as a moisturizing, anti-aging primer under your regular foundation, this is a well-loved option. You might know Supergoop! as a sunscreen company that is co-owned by tennis star Maria Sharapova. The company has recently diversified into other beauty-related products beyond straight-up sunscreen, including lip balms and this CC cream. This 100% mineral cream covers imperfections with light-diffusing mica while providing broad-spectrum 35 SPF protection. It is cruelty-free and does not contain synthetic fragrance or oxybenzone. Not only is this CC cream a best-seller, it’s also award-winning — it nabbed the Allure Reader’s Choice award in 2017. The 50+ SPF broad-spectrum sunscreen is sure to keep your skin safe from the sun all day, while the formula will cover any imperfections without creasing or cracking. The product also contains an anti-aging serum that’s loaded with hydrolyzed collagen, peptides, niacin, hyaluronic acid, vitamins, and antioxidants. Depending on the product, BB and CC creams can offer many benefits and help you significantly reduce your skin and beauty routine. However, over-the-counter products can only go so far, so you should ask a dermatologist for more information if you have skin issues such as acne or aging that you’d like to address. » To find out more about specific skin care products and treatments, ask a cosmetic doctor for advice and schedule an appointment using Zwivel’s free online consultation tool.